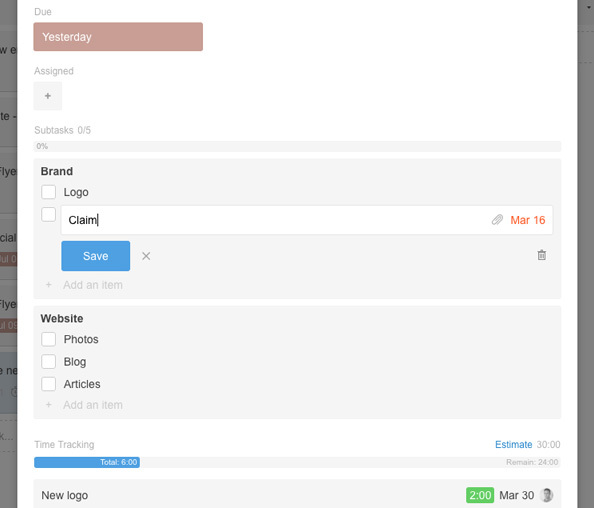 Stackfield offers a wide range of features that simplify your daily work with tasks. Simply click on the icon next to the text input field at the bottom of a data room. There you can choose between different features. Select "Task" in order to create a new task. That will open a new dialog box where you can enter all settings of a task. Click on the icon besides the text input field in order to create a new task. The most obvious way to create a new task is to click on "Add Task" within the task module. Alternatively you can create a task by typing the title into the search bar and pressing enter. By pressing enter twice, you create a task and open the new task. Type text into the search bar to quickly create a new task. Only the title of the task is a required field. All other fields can be left empty. In order to work efficiently you should set a due date and assign the task to a member of the data room. If your task required certain steps, you can define subtasks. Attach files by using drag & drop or by clicking on "Add File". It possible to set a reminder for a task by choosing a due date and selecting "Date & Time". The task must be assigned to the person, who should receive the reminders. Fill all fields in order to work efficiently. 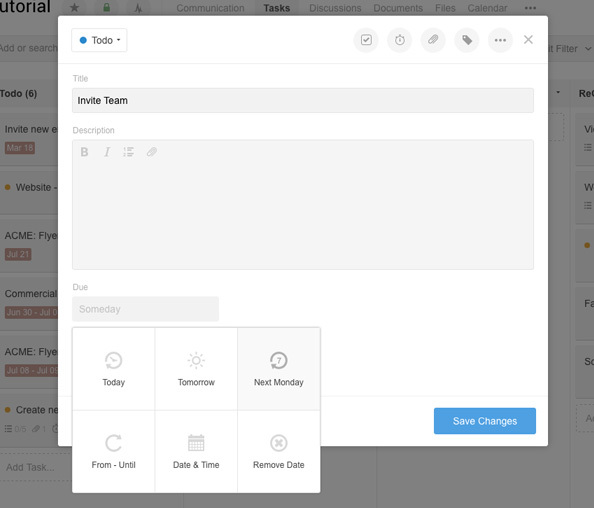 In the upper right corner of a task, there are several buttons that can be used to add features, such as subtasks, time tracking, files, or labels. 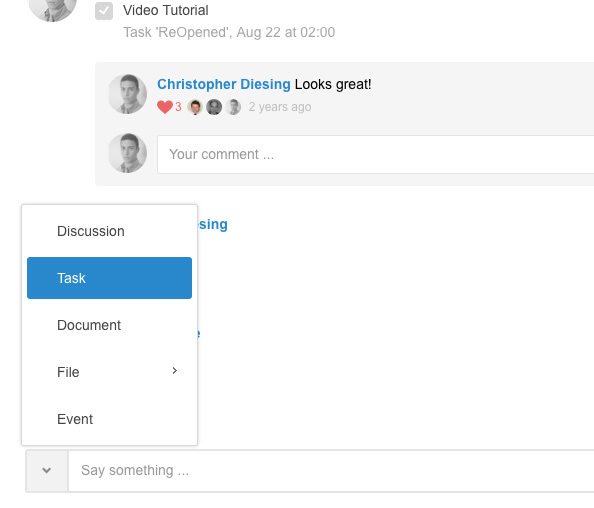 Multiple lists of subtasks can be created. 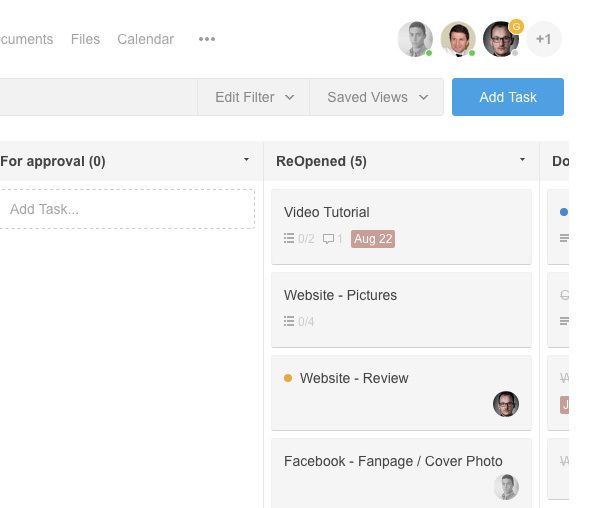 Each list is named during the creation process to be able to identify the subtasks. 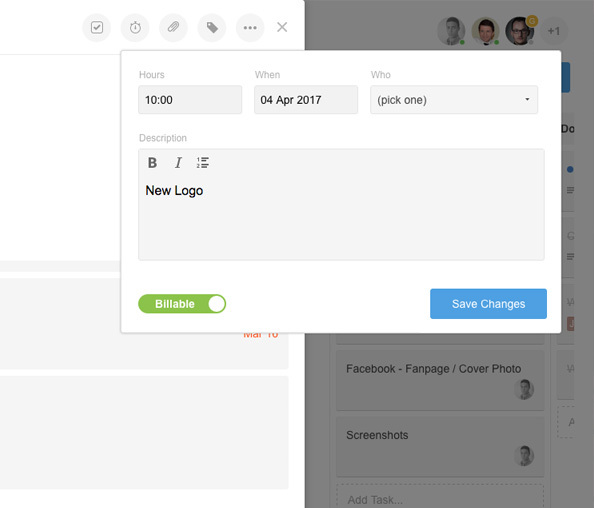 Once the list has been created and entries have been added, subtasks can be sorted by drag and drop and moved between lists. In addition, sub-tasks can be assigned to individual persons, a due date can be added and files can be attached. Files can either be dragged or dropped on the task or can be uploaded by clicking on the files-button in the upper right corner. Various options are available, such as, e.g. uploading from the computer or attaching a file, which was already uploaded to the room. 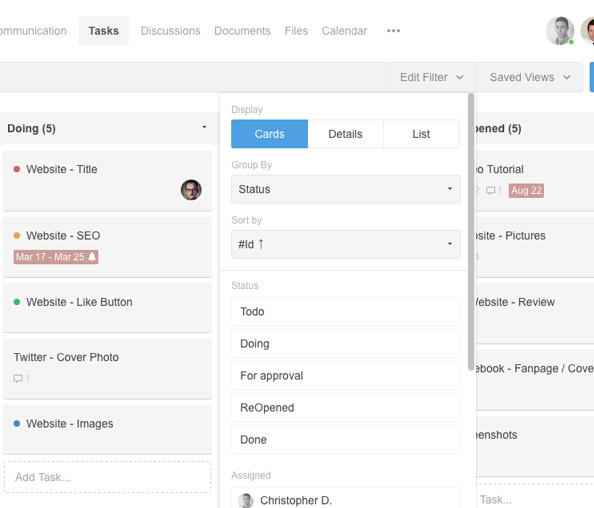 Your tasks can be displayed as a list, table or cards. Switch between these options by clicking on "Filter" in the search bar and selecting "Display" in the dropdown menu. Click on "Filter" to display all options.